Busy and developing area of Spring Hill just east of the intersection of Shady Hills Road, County Line Road and Mariner Blvd. 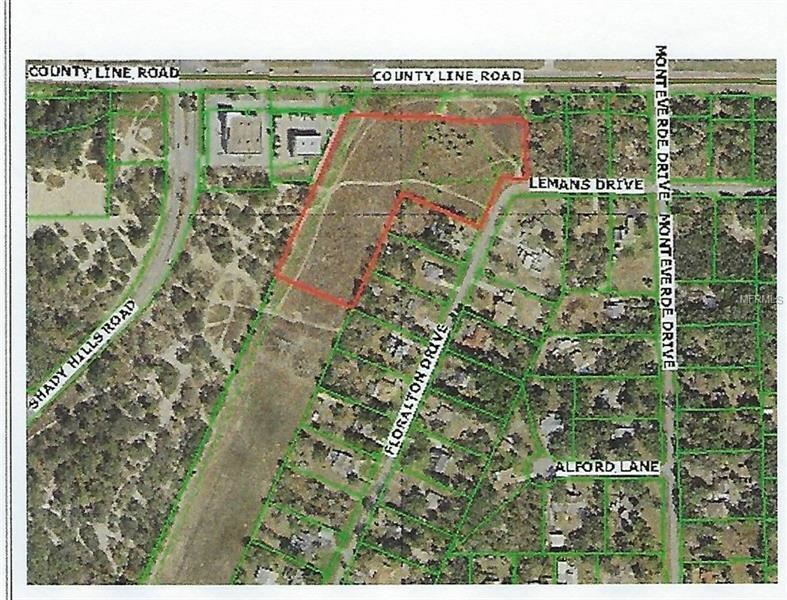 This 7.27 Acre parcel is zoned Professional Office and a site plan has already been prepared to accomodate a 14,000 square foot building with 70 parking spaces and room for a septic tank. Water by Pasco County Utilities and Electricity by WREC. Flood zone X so no worry about flooding here.Come and grab this parcel before prices go sky rocketing in this developing area. US19 E past intersection of Shady Hills/Mariner & County Line Rd on S side of County Line Rd Pasco Cty. Property on right. OR Suncoast Parkway Exit 39 W on County Line Rd before intersection Shady Hills Rd/Mariner Blvd & County Line Rd Property on left. The approximate monthly Principal & Interest payment for this property would be $2,451. This payment is based on a 30-year loan at a fixed rate of 4.12 % with a down payment of $52,990. Actual lender interest rates and loan programs may vary.